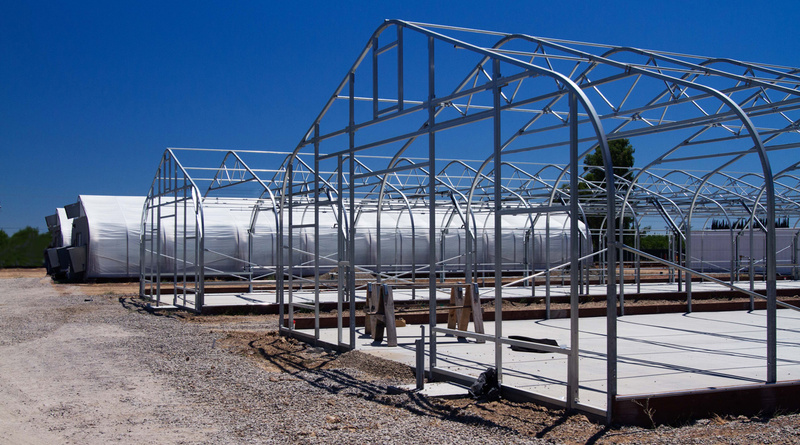 Americana Organics kicked off the first phase of their operation with two Gro-Tech Systems Sierra Series greenhouses that allowed them to get up and running with plenty of room to scale as they grow. We designed and engineered ADA compliant rolling benches that allowed flexibility and maximized canopy space. Truss assembly being built out for Phase I expansion. 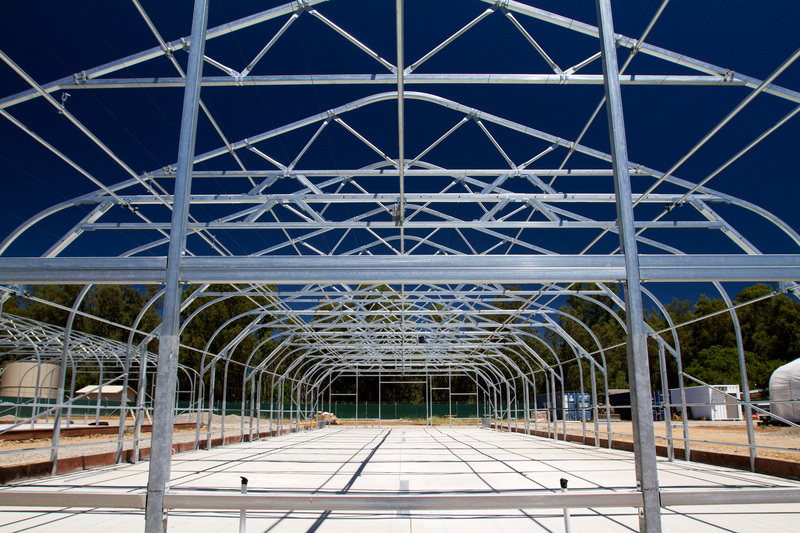 Phase I Sierra Series greenhouse systems. Adding Phase II in 2019 will give Americana Organics more than 22K additional total square feet of environmentally controlled growing space. 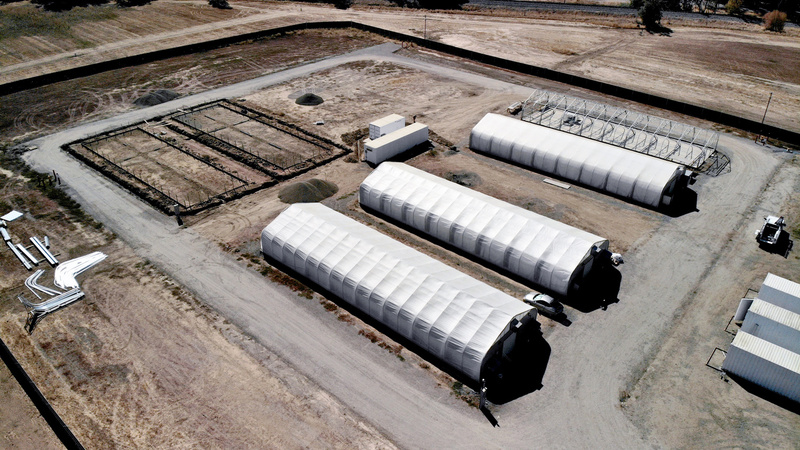 Sierra Series standalone greenhouse systems being completed for Phase I.
Americana Organics realized the advantages — both in climate and market opportunity — of opening an operation in Yolo County, CA. With the county being one of the first regions in California to allow cultivation licenses, they wanted to be early entrants into the space and get up and running quickly. Their goal was to start with automated light dep structures that allowed them to harvest more frequently but also offered flexibility to scale as they grew. While Yolo County had many advantages, Americana Organics soon realized the issues many growers experience when they get started: varying compliance elements required at state and local levels before they could begin growing. Requirements ranged from installing a fire-suppressant system, security, fencing enclosure, road access, and storage container permitting to name a few. 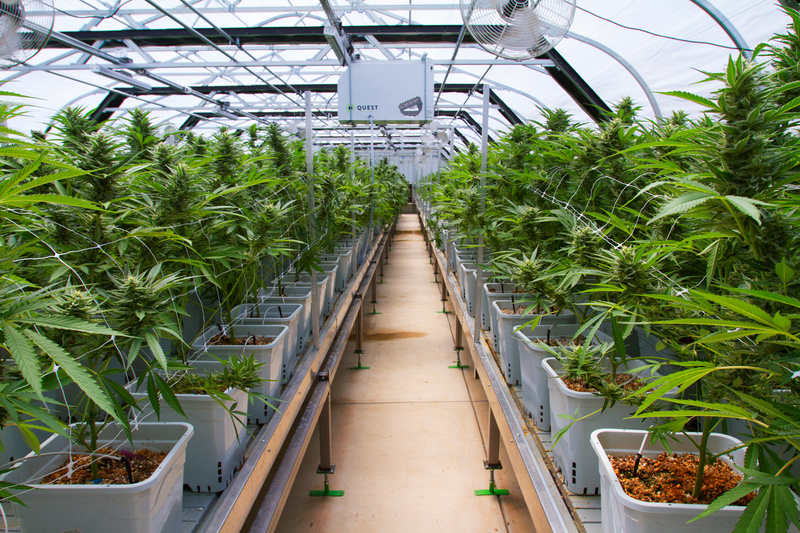 Americana Organics had to address all of these requirements while still needing standalone greenhouses that allowed them to grow at their own pace. Gro-Tech Systems worked with Americana Organics every step of the way in order to become compliant. We attended the local ordinance meetings and worked hand-in-hand with the architect to assist with the project management of the construction. We even went as far as meeting with the county Building Commissioner and head of the Agriculture Department to take them on tours of our facilities and align on a fully compliant approach. 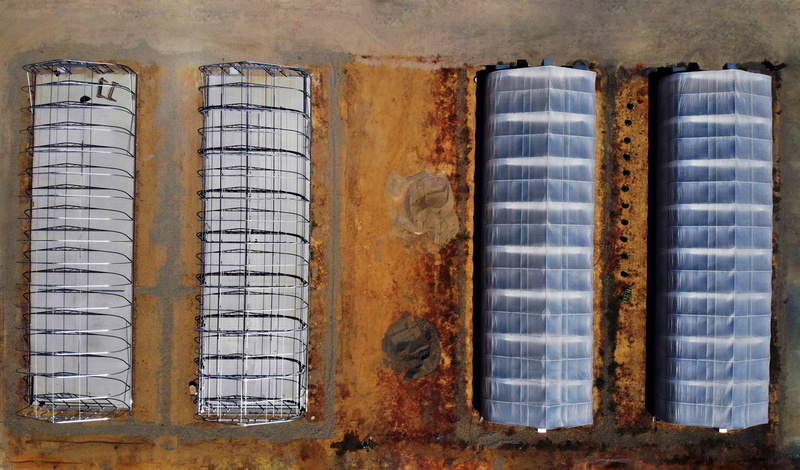 Once the project was compliant, Americana Organics met their goal of becoming one of the first fully engineered greenhouse operations in Yolo County. They started with two - 2,880 square foot standalone Sierra Series structures that allowed them to start growing and get into market. Additional Sierra Series structures are in the process of being built and are part of a first phase that will total over 23K square feet. The second phase will break ground in early 2019 with plans to grow to more than 22K additional square feet of our Alpine Series structures.